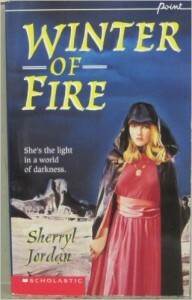 I’m currently in the process of creating the language of a people called the Quelled from the book, Winter of Fire, written by Sherryl Jordan. The book follows the story of Elsha (spelled Eilsa in the language of the Quelled), a harsha (háirsa – slave girl) who spends her days digging for fire stones so that she, her people, and the Chosen are able to survive in a world completely covered in cold and darkness. The language is inspired by the sound system of Irish, the noun systems of Finnish and Basque, and the verb system of Basque. The language is called Aoisóilinna and the people who speak it are the Quelled or aoisenári. Below you will find a table of contents that will teach you the language as the language is created and lessons are made.